provides a cutting edge investment platform for the individual. 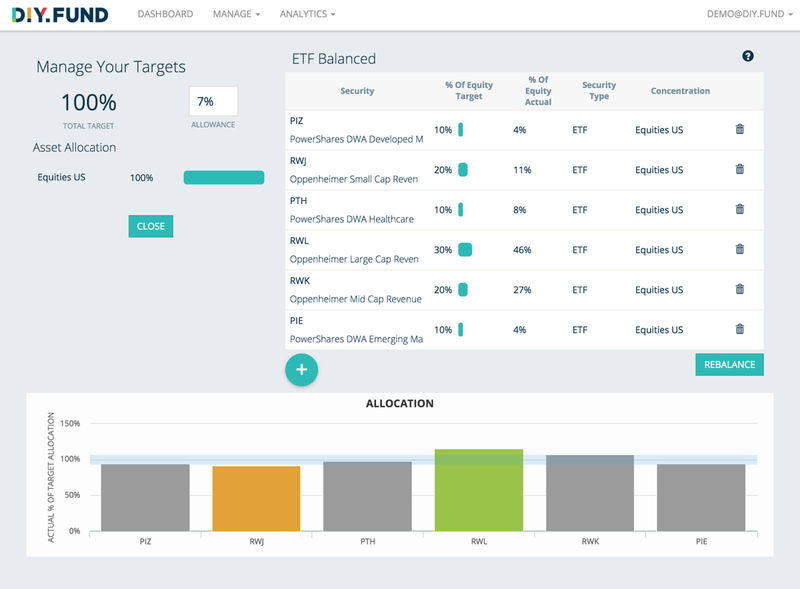 DIY.FUND is not a brokerage, but a SaaS platform that is fully integrated with leading online brokers. Constantly searches for opportunities for individuals to optimize their positions. Proactively recommends portfolio adjustments, using machine learning techniques. Portfolio Rebalancing and Tax Loss Harvesting Tools. While DIY.FUND analyzes the markets and our users accounts for opportunities to create a better, more diverse portfolio, ultimately we give the power to the individual.